February 26, 2019 limrablogadmin MBBS IN ABROAD What are the reputed medical colleges in the Philippines for medical students? The system of medical system in the Philippines offered is the American system and the Primary Medical qualification is that of an M.D. degree (MBBS). This qualification is globally recognized including the Medical Council of India. The MBBS program of Philippines is a unique opportunity for students who have passed the 12th standard or equivalent examinations to pursue medical education of International standards, with a minimum of 50% marks in Physics, Chemistry and Biology and if the student belongs to the reserved category, then a score of 40% in Physics, Chemistry and Biology is sufficient as per the MCI guidelines and is good to go for MBBS. The reputed medical colleges in the Philippines for medical students are the Davao Medical School Foundation, Emilio Aguinaldo College, Southwestern University, University of Perpetual Health Systems, Our Lady of Fatima University etc. The course lasts for 5 years and 4 months followed by one year of internship which can be undertaken in India after completion of the screening test and procuring Provisional Registration of MCI. Having passed these tests, the student is eligible to register with MCI and State Medical Councils and can start his practice in India. These medical colleges in the Philippines have generally only one intake every year and have limited seats. However, a few colleges have increased the intake to accommodate the rising number of student applications. 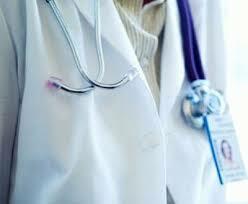 Limra Educational Consultants secure your seats for your MBBS degree in Philippines. MHCET/AIPMT/NEET exams are not required. A lovely country with hospitable people with beaches and islands surrounding it is almost like vacationing. Weather condition in this extensive coastal region is very similar to that in India, with rain and a temperate climate. There is immense cultural diversity in that country as well. Education Commission for Foreign Medical Graduates (ECFMG) recognized, which will make the candidates eligible to appear for USMLE (United States Medical Licensing Examination). Upon successful completion of this test, the student is eligible to practice or undertake a PG degree in the USA. FAIMER recognized (Foundation for Advancement of International Education) will make the candidate eligible to join Ph.D. courses. Most colleges have several tie ups with reputed universities across the globe. Wi-Fi Hotspots within campus. With the highest literacy rate of about 94% in Asia, the Philippines is home to a major student crowd. It is much affordable at Philippines compared to India, and quality of education is very high. Many parents believe that the Philippines is certainly the right place for their children to study MBBS because it offers several good reasons for quality education.